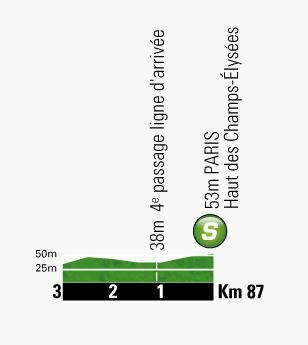 Stage 21 of Tour de France 2013 is a flat sage from Versailles to Paris Champs-Élysées. 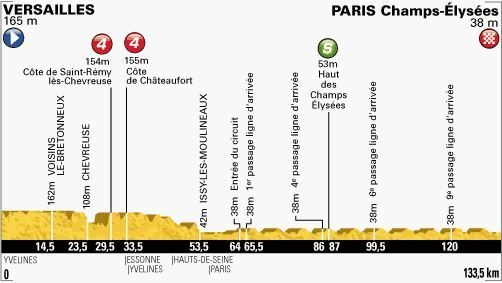 The length of the course is 133.5 km. The stage will start in the evening and finish in the night. Versailles is a city in the Yvelines département in Île-de-France region, world-widely renowned for its château, the Château de Versailles and the gardens of Versailles, designated UNESCO World Heritage Sites. The Avenue des Champs-Élysées is a street in Paris, France. With its cinemas, cafés, luxury specialty shops and clipped horse-chestnut trees, the Champs-Élysées is arguably the most famous street – and one of the most expensive strips of real estate – in the world. 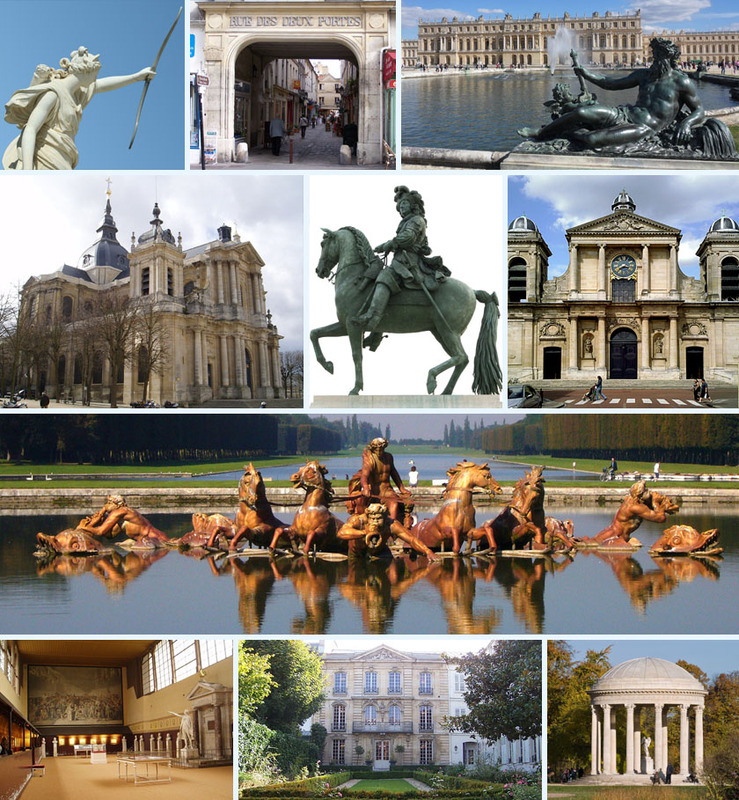 Several French monuments are also on the street, including the Arc de Triomphe and the Place de la Concorde. The name is French for Elysian Fields, the place of the blessed dead in Greek mythology. According to a much used description, the Champs-Élysées is la plus belle avenue du monde (“the most beautiful avenue in the world”).